Day 135 - It Takes a Village! Being an MWHS and DECA alum, I keep fairly up to date on the MWHS Pride blog. Throughout the year, I have wanted to write a piece but have not really known what to say. A lot of other graduates, as well as current students, teachers, and community members have written phenomenal articles about our White Hawk pride and all the great reasons to be at MWHS. I was not sure what else I had to offer to the discussion without simply reiterating the themes that have emerged as the school year has gone along. Thus, being the independent thinker I’ve been taught to be, I have struggled to write anything worthwhile, and thought I might not write anything at all. However, I still felt compelled to write an entry for the blog. Not in a self-promotional, “I want to do this” sort of way. I owe it to so much of the Mound-Westonka community to share the positive influence being a White Hawk had on my life. I am proud of who I am and the time I spent at MWHS played and continues to play a large role in my life. I owe it to my DECA advisors, Mrs. Simonson, Mrs. Lolich, and Mr. Lee for helping develop my passion for business and DECA, and for constructing the best DECA program in the state. I owe it to all the phenomenal teachers, like Mr. Bulman, Mr. Paul, Mrs. Paul, Mr. Hiebert, Mr. Kaeter, Mrs. Morinville, Mr. Humbert, Mrs. Opel, Mr. Sobiech, Mr. Bray, Profe Wardlow, Profe Lyngby, and others I never had. As much as we appreciate our teachers at MWHS, I never really appreciated how quality all my teachers were until college, when many of my peers were not nearly as well prepared for college as I and my fellow graduates were. I owe it to those teachers to share how positively they impacted my life, and how easy the transition to college was for me, almost entirely because of their willingness to help and passion for teaching. 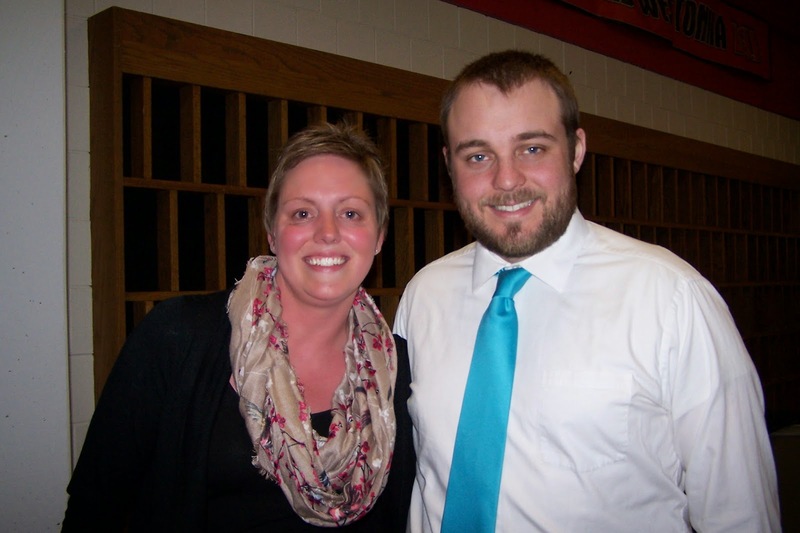 The phrase “above and beyond” is thrown around too often, but no cliché fits the MWHS staff better. I owe it to my guidance counselor, Ms. Baumann, who helped me trudge through my college decision, and anything else that ever came up. I also owe it to her for starting the Westonka Summer Institute, which gave me the opportunity to go to China. 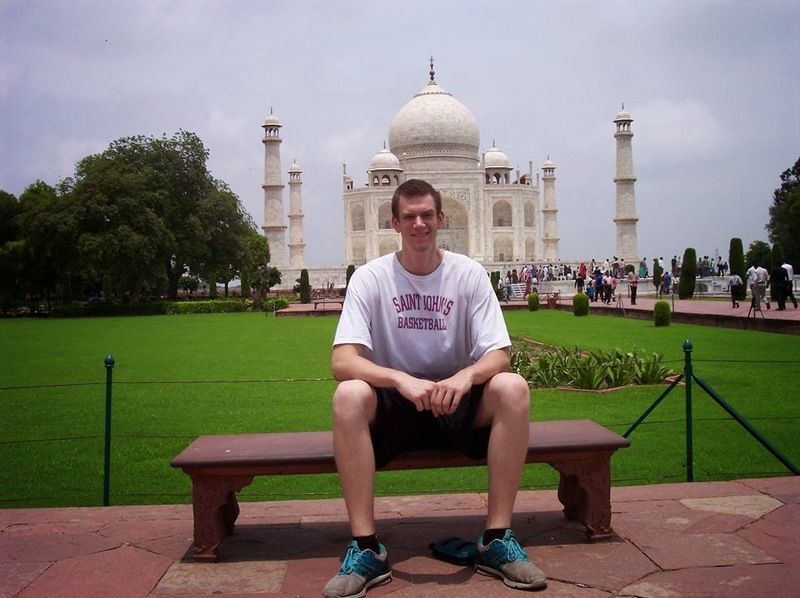 Without that program, I doubt I would have had the wherewithal to live by myself in India this past summer. I owe it to Ms. Bormes and Mrs. Carlson (who ran the Link Crew program while I was at MWHS) to share the sense of community and connections Link Crew builds, which I to this day appreciate. I consider my Link Leaders as well as many of those in my Link Crews to be friends to this day. I owe it to my basketball coach, Rick Dahl, who not only taught me how to play basketball well enough to be a collegiate basketball player, but much of my life philosophy. I do not think anyone has as large as of an impact on my life as he does. I cannot say enough good things about my years on the basketball team, and feel greatly unsatisfied not being able to more eloquently and effectively describe how great the program and my coaching was. I owe it to the administrators who make all these opportunities possible, and who are in constant pursuit of providing MWHS with the best educational experience taxes can buy. I owe it to all community members who are willing to buy our fundraising items, support our teams, and create a welcoming environment at MWHS. This includes all the parents, who make so much happen. I owe it to all the friends I made and have kept over the years. I could easily, and probably should, write a separate blog for each of those mentioned above and those I unfortunately forgot. And sadly, that would do an exceptionally inadequate job of paying back my debts to Mound-Westonka High School. And I think that’s the point: with so many people deserving so much praise, how could I not be proud to be a Mound-Westonka White Hawk? If you have a story that you would like to share, please email mwhspride@277apps.org for more information! We would love to hear from you! 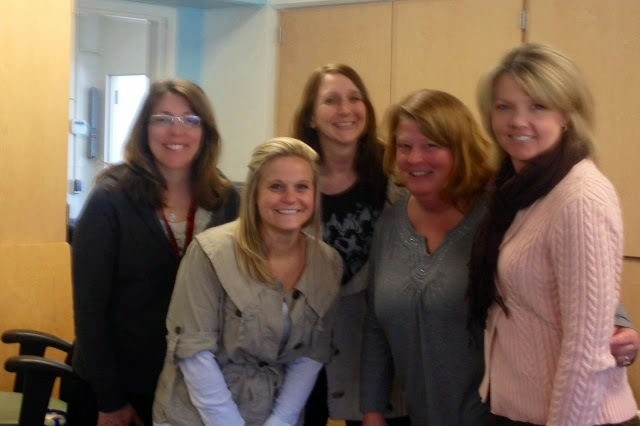 Many of the MWHS students began their educational journey in the Westonka Early Childhood program. I am privileged to be a part of the "Sunshine Room" for the last seven years. One year as a parent, and the following six as the Assistant Teacher at Shirley Hills Primary School. I have loved watching the preschoolers grow and become successful students. It gives me great pride to see them soar into their elementary years and beyond. I'm sure many of the students can recall how much fun they had in preschool with Mrs. Sotak, or any of our preschool teachers at Hilltop or the Early Childhood Center. Perhaps they can even remember taking home "Sunny the Bear" for a weekend. It's a fun activity where we read in class what Sunny did at a students home for the weekend. Oh, the stories we hear! Mrs. Sotak and I will often open up the old notebooks and read what happened all those years ago. What is unique about the Westonka Preschool program is how it provides an inclusive setting for children with special needs. This early intervention creates caring and accepting environments for all students. Given the times we live in today it is crucial we foster acceptance, understanding, as well as compassion for others. This, in turn, helps even our youngest students become successful and kind humans. We see this flourish as they grow into the young adults at the High School level. White Hawk pride is already strong in these four and five year olds. I am proud to spend my days with the littlest White Hawks! The moment I probably felt the most pride in our school was my eighth grade hockey year. Our team accomplished so much and advanced further than we ever had...we made it to the state tournament. Making it to the State Tournament has always been our major goal. Once I made the team it was my personal goal to do everything I could do to help the team make it there. In the beginning we were off to a great start being undefeated for our first nine games before we had our first lost to Holy Family. This put us down a bit but we didn’t let it affect us. We continued to work and get in shape and at the time we hated it but we knew it would only help in the end, which it did. Into section playoffs, we had a bye in the first round; this bye gave us the push we needed. The year before the girls made it just as far but losing to Hutch in OT in the finals. This was heart breaking for all of them so the older girls were very determined to not let that happen again. The final game was probably the best game I have ever been in. Everyone on the team was skating as hard as possible, not one person had an off shift. We didn't have many people in our stands that weren't parents or grandparents but we weren't really focused on that at the time. The adrenaline in everyone was at an ultimate high and the game was crazy. 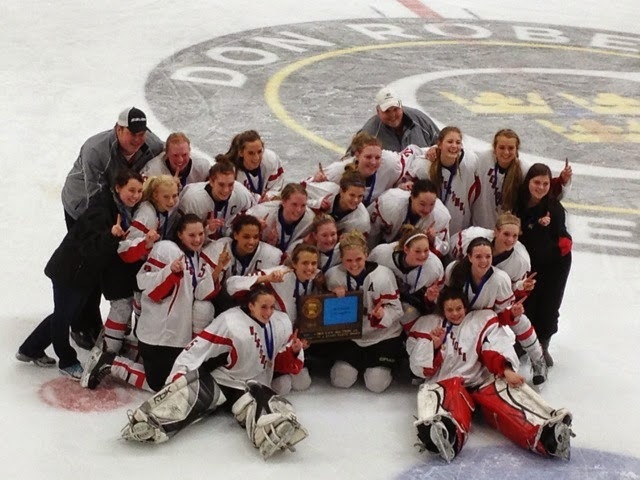 I instantly become happy every time I think of the period three buzzer sounding, and all of the girls hockey team flooding the ice screaming and crying because we knew we had made it state. I can't wait until the next time I feel that, the best feeling in the world, pride and accomplishment! 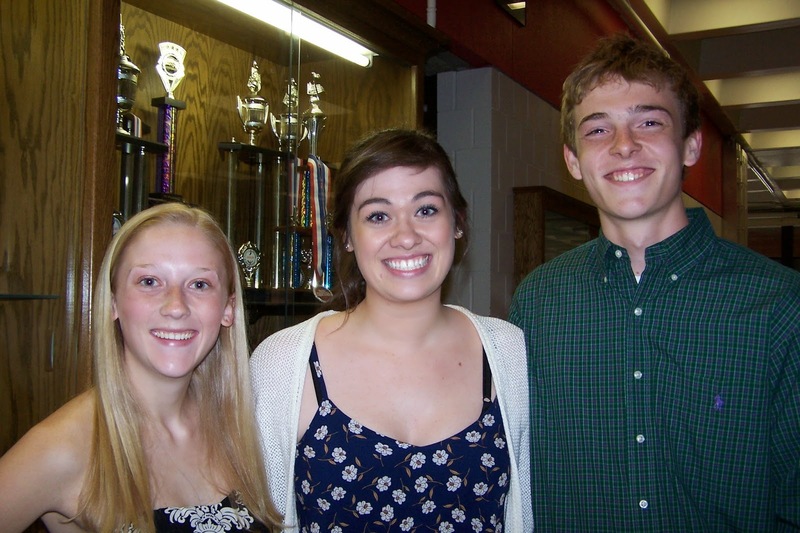 April 13th’s Induction Ceremony marked the true beginning of 35 students’ National Honor Society membership. The ceremony started off with a very well rehearsed entry from all of the new members, highlighted with a unison seating. The action started with some opening remarks from Mr. Lenz. Then it was time for the officers to offer their insights into the four pillars of National Honor Society: scholarship, leadership, service, and character. Then the moment we’d all been waiting for, the induction of the new members, finally arrived. Again in perfect unison, the inductees headed to the stage to receive their certificates from Mr. Fischer. There were many a camera flash. Next, senior officers Mackenzie Strehle and Claire Erickson gave a brief overview of the exceptional service projects that National Honor Society has participated in this year. The members inducted last year also received their time in the spotlight, being announced along with their intended college and major. Mrs. Gravelle closed out the ceremony with a heartfelt testimony to how the our school’s members truly do exemplify the four pillars of National Honor Society. Just because the ceremony was over didn’t mean that the party was. All in attendance were treated to refreshments. Several of the seniors served cake, and what service it was. Those pieces of cake were huge! This whole event made me proud that our school has so many kids dedicated not only to their academics, but also to helping others and being good people. I am also proud that our school has great teachers that dedicate themselves to making not only occasions like this a success, but also National Honor Society as a whole. All of these items will be utilized by the High School kitchen throughout the summer feeding program and for the school meals program during the school year. Some of the dishes prepared with the fresh herbs will include fresh salsa, soups, gravy, bread stuffing, mango salsa, and others. Jackie Swartzer, the Head Cook at MWHS, does a great job utilizing the fresh herbs to make the scratch made dishes delicious! If you would like to learn more about the school gardens or become involved, please contact Laura Metzger at 952-491-8084 or by e-mailing metzgerl@westonka.k12.mn.us.